Created through conversations with the generation born in the 1930s; this ensemble production takes the audience through seventy years of Sri Lankan history, from the 1940s to the 2000s. 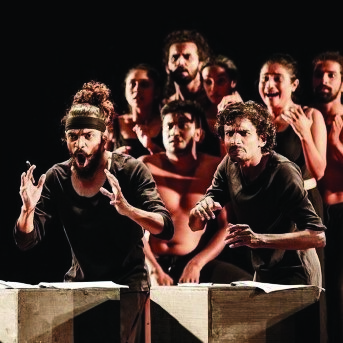 In seven short scenes, which capture seven singular events (one event per decade), the play charts how the politics of the country and the spirit of the Sri Lankan people changed over the past 70 years. Spanning colonization, independence, insurgency and civil war, this production offers a fascinating insight into how memory works; how histories are built or why they are erased.